Blog hops are a great way to gain more followers! This hop follows in EVERY way: Google Friend Connect, Facebook, Twitter, Feed, Blog Frog, Networked Blogs! "Stalk Me" and I will return the favor! STALK Follow ME! Follow me in every way you choose, let me know you did via comment and I'll return the favor! Follow, and Follow some more!! 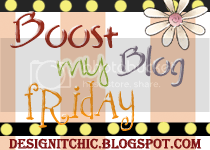 Please visit my other blog and "Stalk Me" there as well! 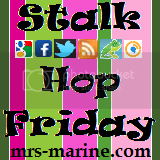 Please Link directly to your Blog post about "Stalk Hop Friday" or Friday Follow below! ** Please grab the Badge to put in your post, help spread the word and make this hop big!! 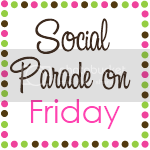 ** It's a lot easier for others to leave a comment and follow you back if they have a specific post to comment on. Thanks! 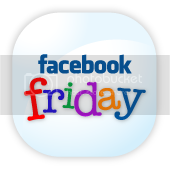 I already follow GFC, but now follow Twitter, Facebook Friend and Facebook fan! Howdy Miss Marnie! Following you from NanaHood! Blessings to you and yours! well you know that I'm no stranger here...but I'm a new FB follower! 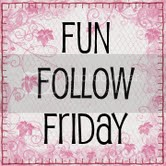 Thanks for the linky- your newest follower on GFC and FB! Have a great Friday! Already a GFC follower... off to follow you on twitter. :) Have a wonderful weekend. HI, following you with GFC , fb fan and also on twitter. Thanks for the hop! I grabbed all your buttons here as well! Not my first time...Happy stalk hop friday! I'm following you now. Please visit and follow me back! I also followed you on Twitter (@MisfitMommaAKA) and Facebook and added you as a friend too! Hello! I just posted up your button and I'm your newest follower. 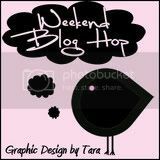 Thanks for listing all the other blog hops too. That was sweet of you. Hope you'll come visit and follow me back. I'd like to be a blogging friend. Thanks and Happy Friday! 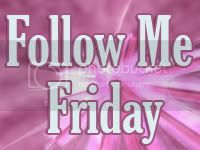 Dropping by from FGH - I'm already a follower - Happy Friday! Hey there a new follower. Thanks for the link. Love your blog.. EPIC new follower.. ;)) Please come by and visit whenever you get a sec @ http://theartsygirlconnection.blogspot.com/2011/02/springing-up-nursery.html -- Loving your work.. Facebook follow as well.. Yaaaye.. I am hopping in from Friday's Hops. Love for you to stop by. I am so glad I snooped around on your page! thanks for the list of great host blogs...and for such a great visit! I agree with the captcha thing....I hate those! yaaay!! i'm ur newest follower. thanks for liking my fan page "kitkat's tale"